A few years ago, I was given the privileged to volunteer in an Indigenous community in far north Queensland. I was to be a teacher’s aide for classes one and two, which I was excited about because I love children and spending a few weeks playing teacher was a nice break from the corporate world I was in. I prepared as best as I could and was sent on my way with another lady, both full of excitement, talking about all the things we would do and how fun it would be. Until we landed. On arrival all excitement fled and was replaced by nervousness, anxiousness and unease. There was a heaviness in the community that was so strong you could almost taste it. What we had imagined was so far from what we walked into that we both considered jumping back onto the plane and going home that same night. It was pure stubbornness and a little bit of pride that kept me there and as I look back, I am rather thankful for it. The community we were in was a dry community (meaning alcohol was legally forbidden) because they had been plagued by some much alcohol and drug abuse problems. And unfortunately, the community was still suffering the effects of it. Adults spent most of the day gambling and left the children to look after themselves. Each day kids would come in barely able to stay awake because their parents were up partying or fighting all night. They were hungry because there was no food in the house. They were grotty because no one at home cared enough to bathe them or change their clothes. It was a hard place to be in and by end of the first week, I was ready to go home because it all just felt too hard. Then one day, it all changed when one of the little students came and sat by me and reached up to play with my hair. It was such a simple gesture, but it was a game changer because it was at that moment that I realised that while I was in a dark community, God was still there and still working. I realised that God’s beauty and the works of His hand can still be found in the darkest places if we just look for it. That little girl playing with my hair was a small gesture of sweetness on a draining day and from that moment, I started looking for the little God moments. And when I started to look for them, let me tell you, I could see God everywhere. In the elderly lady who share her faith with us. In the elder who gave us permission to swim in his pond. In the children that would curl up in my lap while I read to them. In the little boy who snuggled his face into my neck and slept while we waited and waited and waited for his mother to come and collect him. In the quiet moments before sunset when you could see for miles and miles across the land. In the peace that surrounded me whenever I recited psalm twenty-three. The enemy would like us to believe that there is no hope in the darkness, but the truth is that the enemy is a liar because God is still found in the darkness. 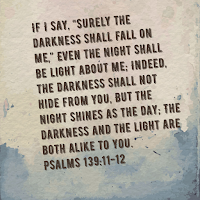 David says it best when he says, “If I say, “Surely the darkness shall cover me, and the light about me be night,” even the darkness is not dark to you; the night is bright as the day, for darkness is as light with you.” (psalm 139:11-12) Hope can still be found in the darkness if we look to the One who conquered darkness, Jesus. The darkness has no power over Him, so it has no power over us. 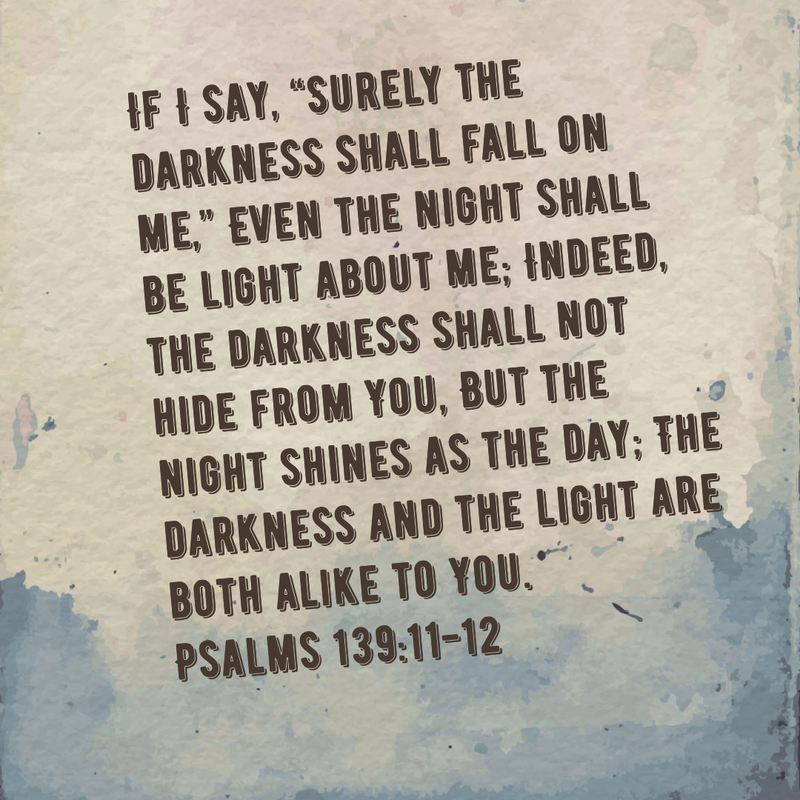 If we seek Him, we will find Him, no matter how dark the situation. If we look for His fingerprints, we will see them everywhere we go; in His creation. In His people. In His love for us. If we would just look. Leila (Lays) Halawe is a Sydney based coffee loving nonfiction writer and blogger. She has published a short devotional, Love By Devotion, and shares her views on life and faith via her blog page Looking In . 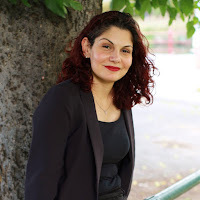 You can connect with her via Facebook at Leila Halawe Author and via Twitter at Leila Halawe. So lovely to read, Leila! Well done to you, not only for your blog, but also for volunteering in that indigenous community and for seeing God at work in the midst of it all. Leila, you encouraged me to remember that challenging verse not to be weary in well doing.And isn't it wonderful that when we hang in there, God sends those small, but uplifting blessings. God's blessings wherever you are right now! Amen, Rita! He is so faithful when we just stay focused on Him. Sending you blessings from San Jose! !